Coinhako.com Review 2019 – Scam or Not? “The easiest way to buy, sell and store digital assets in Asia” –Coinhako.com. This is what is written on the website façade and we will be able to prove that on the review that we will be doing on them today. Come and join us as we look into their website features, know how to create an account, and determine if it is really easy to buy and sell through their website. Without further delay, let’s talk about that! There are a lot of websites that offer exchange services all over the internet but every one of those websites are unique and knowing their background or company information beforehand is critical for future investments. What do we know about Coinhako.com? The company is spearheaded by their CEO Yusho Liu and is based in Singapore and their goal is to provide BTC exchange services all throughout Asia. Creating an account with the website not only proves that it is an easy task, but this also determines if they are willing to accept registrations from around Asia or are they tied to specific countries only? Let’s head on to their website and start the registration process. 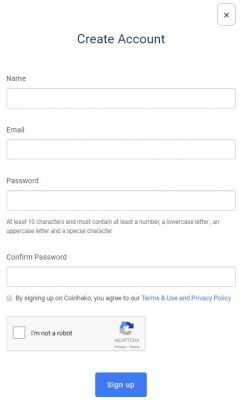 To create an account, we only need to provide our name, active email address, password for the new account and accepting their terms and policies. A confirmation email will be sent to the provided email address, by clicking this you are confirming all future transaction notifications will be sent to that email. After this has been done, you are now able to log into the account you just created! The default page right after creating an account will show the Two-Factor Authentication page along with the verification of identity. To verify an account, the website Coinhako.com will need to have your local phone number from Singapore and Malaysia. This means that if you are not from either of the mentioned countries, you are unable to verify an account. With this being said, our question earlier has been answered. They do not accept verifications outside the mentioned countries, which is quite sad since they bluntly advertised they have the easiest way to buy, sell and store crypto in Asia. Aside from being a crypto wallet, the website offers buying/selling currencies. This feature cannot be viewed unless the user has a verified account. Also, one feature that was already mentioned is their ability to add Two-Factor Authentication for your account. This is great since adding another later of security helps you sleep at night knowing that any alterations or requests from your account cannot be done without your knowledge. They also have a referral feature that you guys should be excited about. The different between their referral and other websites is that not only the inviter gets commission; the person invited also gets a referral bonus! 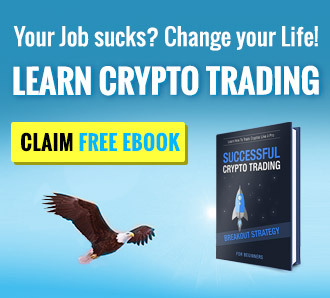 For every SGD $100.00 being traded, $5.00 gets back to your account and another $5.00 is sent to your friend that spent $100.00 for trading. This means that their trade of $100.00 is basically just $95.00 per trade! How cool is that? Since we are not based in Singapore or Malaysia we were unable to get you guys a preview of their exchange platform. We do know however that they offer BTC, LTC, and ETH against SGD and MYR. This means that aside from the wallet service they strongly advertise, they do work as an exchange website for cryptocurrencies. The only issue with it is that the verification process is focused on Singapore and Malaysia. Right after we finished our registration, we got an email congratulating us on creating an account with them. Along with the congratulatory message, they noted that they need two proofs for ID and address provided. For verification purposes, the website will ask for your local phone number whether this is from Singapore or Malaysia. The Identity verification is quite long and detailed since they will require you to provide your complete name, nationality, date of birth, city, address, zip code, your passport number and a picture of your passport. They will also require their customers to submit a photo of you holding the passport with a piece of paper saying (writtern) “Coinhako” and the date the picture was taken. Proof of address document can either be a bank statement, utility bill, tax return statement, or government issued letters. Compared to fully-pledged trading websites that offer Forex, and commodities to trade, exchange websites would likely not have any leverage trading feature due to the volatility of the market. When it comes to exchange fees, a charge of 0.90% per transaction is imposed. Compared to other exchange websites, the fee here at Coinhako.com, the fees are far expensive that its counterparts. Here at Coinhako.com they do accept wire transfers from banks that are based in Singapore and Malaysia. They do not charge any fees for deposits but the bank will always have a fee for the transaction. 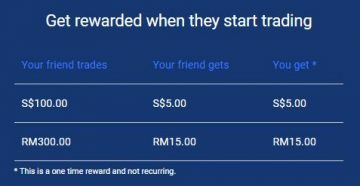 When withdrawing funds SGD $2.00 up to $5.00 per transfer to Singaporean bank accounts and RM6 (6 Malaysian Ringgit) is charged for Malaysian withdrawals. The website does not have anything regarding crypto withdrawals which mean we would assume that they do not charge crypto withdrawal fees at all. Now comes probably one of the most important things when it comes to transacting with online websites –customer service. Customer service is often looked over by a lot of customers, which is a fatal thing to do. Where do customers run if they need help with their accounts? Yes, the answer is customer service. That is why, every now and then we would like to remind our readers that having a solid CS team is always a plus on websites you want to transact with. Here at Coinhako.com, what they have is an email support team which people can contact through the little pop-up box located on the lower right hand side of the website. And that’s it! They do not have a phone number wherein people can call which is sad, but they have listed their physical address located at 14 Robinsons Road, #08-01A, Far East Finance Building, Singapore (048545). Even though we were unable to fully explore the website (due to country restrictions) we still think that the website along with its available features is not that bad. If you guys have personal experience with the company, please do let us know on the comments section below!